The individual values shown are the highest or lowest in the available engine range and are not necessarily representative of one specific vehicle combination. Fuel consumption and CO2 emission values shown are calculated using the combined driving cycle (applicable legislation). Defining the future. Leading the way. The car that defined Hybrid more than two decades ago is still redefining it today. This is a car with a contemporary look that matches its advanced capabilities. 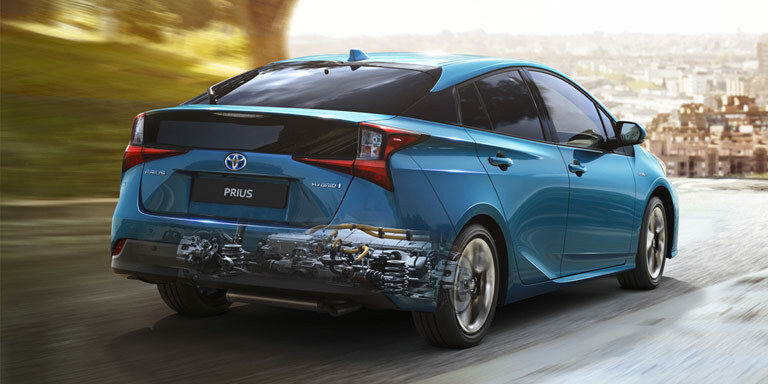 The new design keeps the iconic triangular Prius silhouette, but updates it with distinctly modern clean lines designed to optimise airfl ow. The result is a car that’s as pleasing to the eye as it is a pleasure to drive. Driving a Hybrid has never been so rewarding. 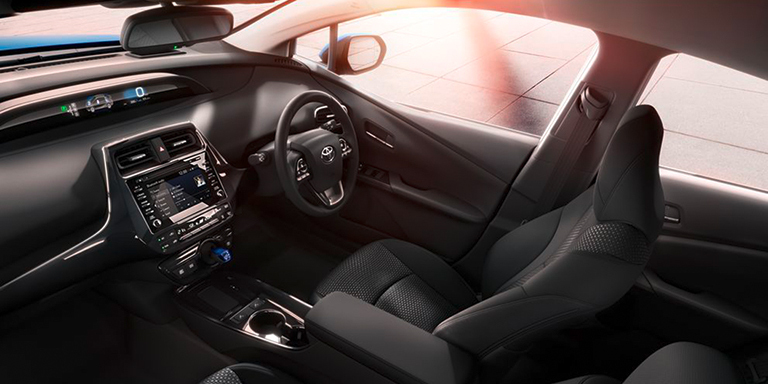 The seamless transition between electric and petrol modes gives you dynamic acceleration when you need it, and you’ll also experience impressive performance and handling thanks to a lower centre of gravity, enhanced suspension and more linear power. Driving a hybrid has never been so rewarding. The 1.8 litre engine provides a smooth and responsive driving experience. The car recharges its battery as you drive, so you don’t have to plug it in. And Prius is the most efficient non-plug- in Hybrid. Prius leads. The others follow. The Prius story began in 1997. 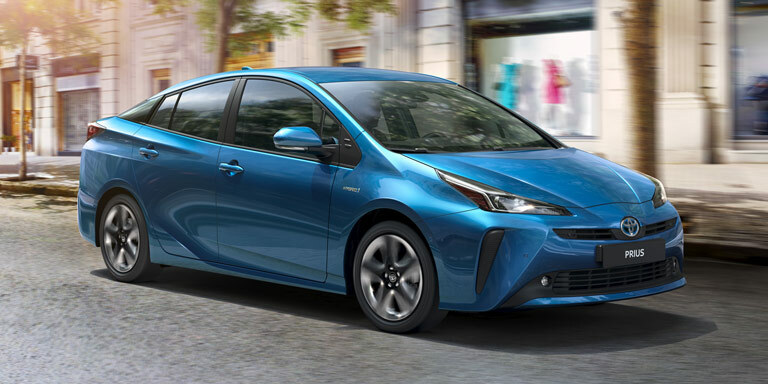 The first mainstream hybrid took driving to a new level. Now it's time for the next chapter. 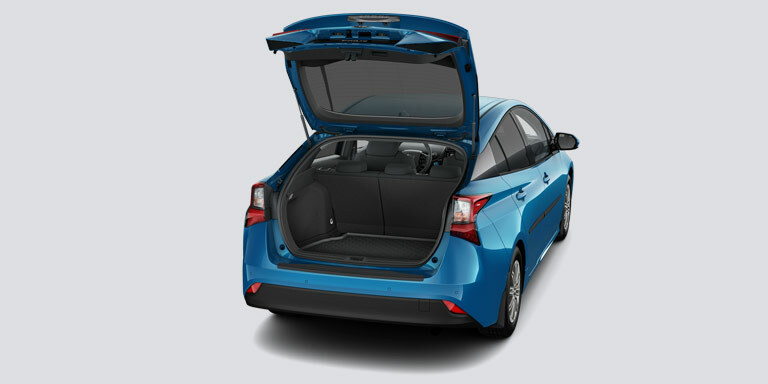 Prius combines intelligent design and technology to deliver dynamic performance and excellent handling, making this a car that is as fun to drive as it is efficient. Redefining Hybrid for over 20 years. Genuine comfort and intuitive technology. When it comes to creating an inviting space, every detail counts. 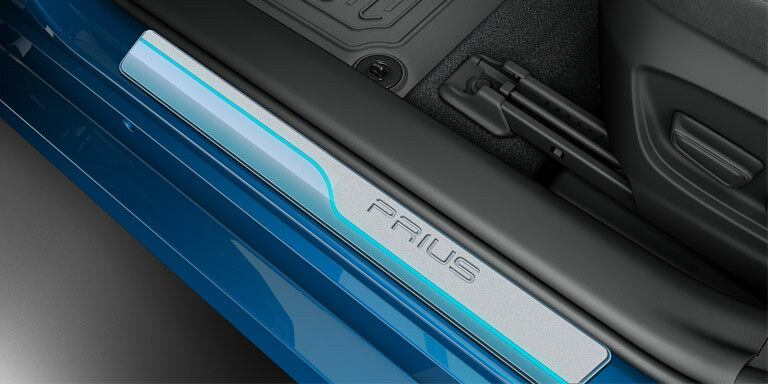 The Prius cabin offers ergonomic seats and combines quality materials with clean, contemporary design..
Keeping you informed to help you respond. 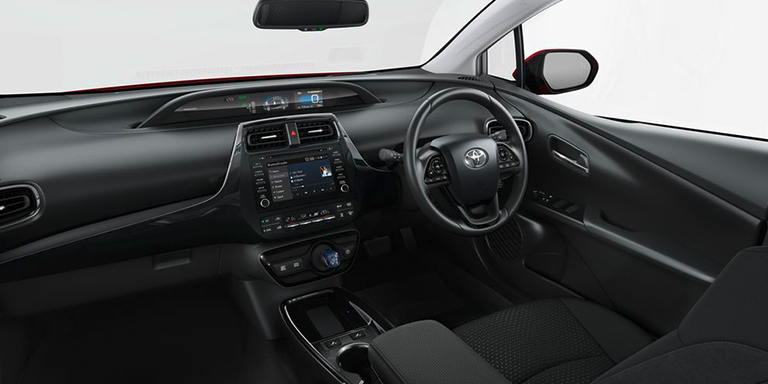 The innovative Toyota Safety Sense system takes driver assistance to the next level. It uses 22 sensors strategically placed around the vehicle to anticipate potential hazards and alert you to them so that you can respond right away. Levene, Dublin	"I’m driving my three children to school every morning, knowing I’m making a difference to their future. And I only have to fill the car every 5 or 6 weeks. Hybrid is definitely the way to go." Ross, Tipperary	"To switch from Diesel to Hybrid was an easy decision. The cost savings of the fuel, the insurance and the car tax – for someone with a young family, that makes a huge difference." Jonathan, Waterford	"People are surprised that you don’t have to plug it in, and it’s self-charging. I would have no hesitation recommending Toyota Hybrid to any friend." Toyota announces Irish Dream Car Art Contest Finalists 9 Irish finalists go forward to compete in the global competition. Here are the wonderful winners from Ireland of our Toyota Dream Car Art Contest 2019. See the imaginative entries and get inspired for the future!